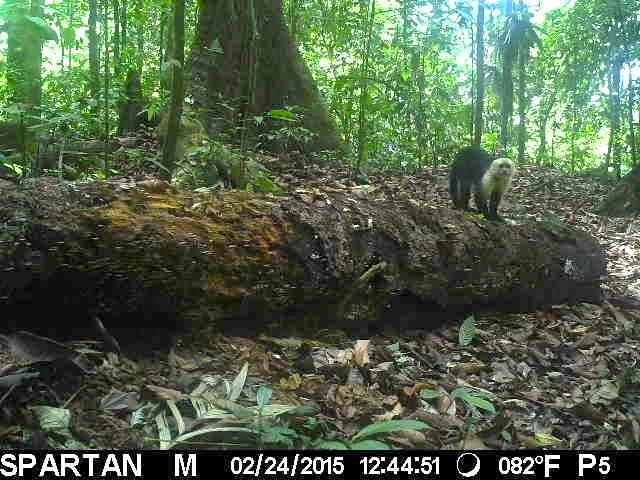 Ocho Verde Camera Trap Update: Hello Instant Wild! "They are going to stand right here"
My name is Frank. My wife, Kate and I run the camera trap project in Costa Rica. I'd really like to thank ZSL , Edge, and Instant Wild for allowing us to be part of such a great idea. 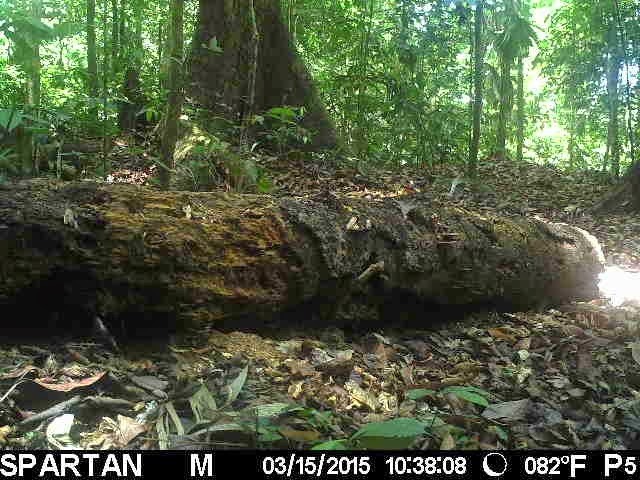 I thought that you may be interested in knowing a bit about camera trapping in the jungle, these particular wireless cameras, both camera trap locations, and finally about some of the animals. We are currently in South Carolina in the United States and get our images via email seconds before they are posted on Instant Wild. We acquired the property in 2010. It had been classified as a preserve by the original owner who was interested in maintaining a population of the Endangered Red-Backed Squirrel Monkeys. He did this by planting fruit trees in the cleared areas and allowing the secondary and primary jungle continue to develop. He probably did know it at the time, but the squirrel monkeys actually do better in recovering secondary rainforest as opposed to primary rainforest. 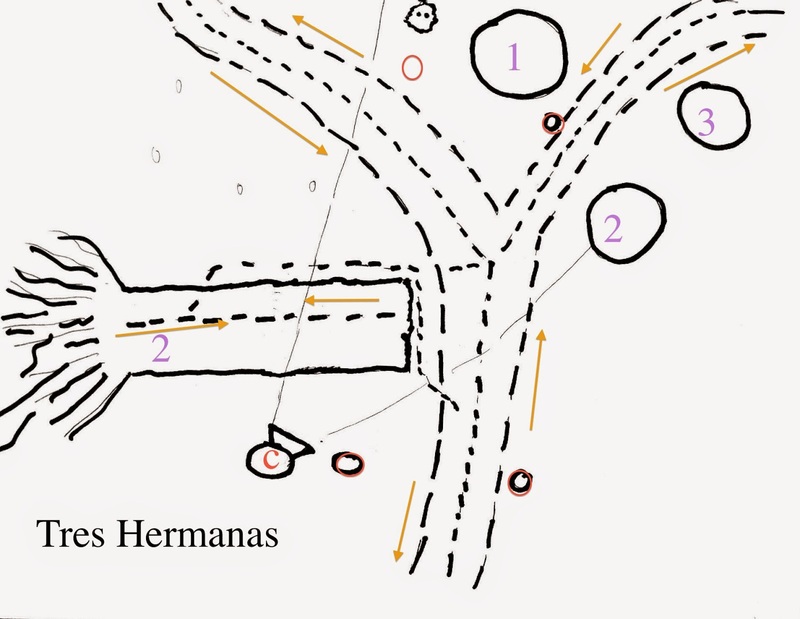 Unfortunately when the property changed hands, the new owners soon lost interest in the property and the land was hunted for Pacas, Curassows, and Tinamous. Even some of the large trees were slashed and 'milked' for a medicinal sap. When we arrived, we brought in a full time caretaker family who had a non violent way to curb trespassers and poachers. Prior to our first visit as property owners, Kate reached out to an now defunct organization called Yaguara who were camera trapping all over this part of Costa Rica. We could not offer much financial support to their organization, but we were able to transport 8 camera traps for them duty-free from the United States. 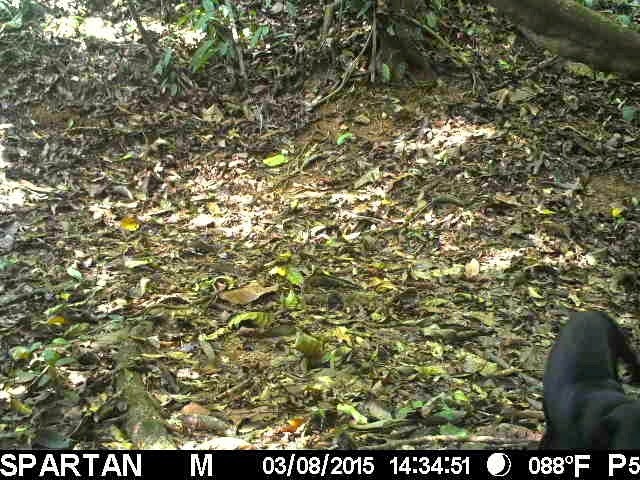 We even purchased a camera trap for ourselves. On Christmas day 2010, we looked at the memory card and had a visit from an Ocelot. That was exciting, but we wanted to find out what else lived on the property and were animals recovering from being poached. In 2013, we launched and Indiegogo project that helped us buy 12 cameras that were spread throughout the property. We learned about so much more. We learned patterns of activity, movements by individuals and that we had a great amount of biodiversity. If you have ever been to a tropical rainforest one thing that you will notice is that it is dark. The thick canopy of trees obscures so much light that photography with a DSLR, point and shoot, or camera phone is a real challenge. Most contemporary camera traps were designed to capture images of feeding deer and not see animals in the dark wet humid jungle. Those who know about photography realize that in low light you need long shutter speeds. Long shutter speeds give blurry images when there is movement. 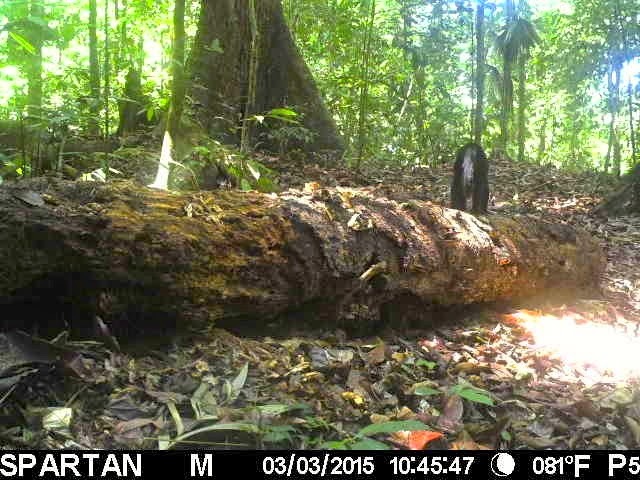 That is one of the image conundrums we are faced with in dense jungle camera trap photography. We have some other problems being in the jungle. Rain can get on lenses making for strange and blurry images. Worse still, bad rubber seals allow water to actually enter into the cameras short circuits occur and render them useless. Plants can grow very fast in the rainforest and often times a plant will grow smack in the middle of our frame. This obscures animals and sends off false triggers that eventually drain batteries. We also have problems with ants and spiders. A species of tiny spider finds the little hood over the lens a perfect place to spin a web. It is a nice and dry space, but the web obscures our view of all animals. The ants will eat the rubber gasket where the camera door closes and lets water in. They can also just invade the camera and eventually close off the viewing portal. Cameras often quit working for no apparent reason and sometimes batteries inexplicably corrode. The Spartan Camera(showing adjustable antenna) and my iPhone 5 for scale. Like all of the cameras that I have seen on Instant Wild, these are made by HCO Scoutguard. They are called Spartan cameras. They were new in the Fall of 2014. I don't have the ability to name the cameras on the images. The cameras use infrared flash for night images. There is not a white flash wireless camera on the market yet, but there will be in another month or so(fingers crossed). The cameras use 2g (second generation) cellular technology. There is currently 3g and 4g available. We use Spanish telecom operator Movistar as our provider as it is the only one that is within range of the cameras as of now. The Spartan can be set to send images via text or via email. They are currently set to send email images. So what happens when an animal triggers the camera? The camera records two images at 8mp to the internal SD card(see top image for a card saved sample). The second image is then compressed into a small file and sent to me and the Instant Wild image address. The Spartan can send larger images, but that will use slightly more battery power and twice as much data as the current images. We opted for the small images as we were unsure of data costs and battery drain, but this can be adjusted in the future. The cameras have a neat feature called SMS. This gives one the ability to control different aspects of the camera by calling a number for the phone and then entering in commands via text. One can tell the camera to take a picture and send it right a way or enter other email addresses, etc. We opted to turn off SMS control as we were told it would consume much more battery power. We won't be back in Costa Rica for a few more months and want the batteries to last a long time. We have had these cameras running since the end of January. They were a challenge to set up as they had to be programmed with a PC and we are Mac people. Movistar had never heard of these remote cameras so we had to teach them about needing a sim card, but no phone plan as we were only going to be using data for email transmissions. The cell signal can be spotty in Costa Rica. If the camera is ready to send an image and cannot get a signal it aborts the attempt to send after a few tries. Fortunately, the images are held on the SD card for us to view later. The M in the information strip tells us that the camera was MOTION activated as opposed to another type of trigger command. The P5 tells us how much battery power is remaining in the cameras. P5 indicates full power. It should drop to P4---->P1 as the batteries run down. The current batteries are AA Lithium batteries(12 of them) that we put into the cameras on February 11. The info strip also tells us the current phase of the moon as well as time and date and temperature. One of the cameras was purchased with funds from a donor and the other was generously offered to us by HCO Scoutguard. A note about the Spartan camera shown above. The model pictured has a blackout screen over the infrared LED's. The two cameras that we are using does not have the blackout screen. Images from this camera arrive from ochoverde. We chose the locations for the cameras due to the sheer numbers of animals that passed through the jungle at these locations. The only animals that we have not seen in these locations are the Neotropical River Otter, some of the birds, and the wrong people. 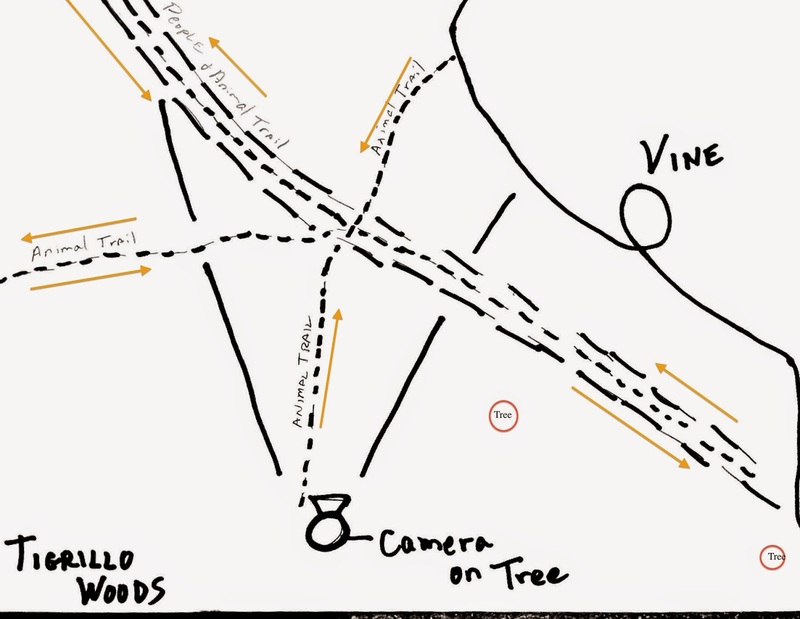 We learned that these areas are very good because people trails and animal trails intersect. For identification purposes we'll call each camera OV and ov. There are 5 possible ways for animals to enter frame. I considered placing the camera on the tree to the far right, but it would have to look up the trail and is looking west. Cameras in that spot in the past get rain drops on lenses and light flares from the sun. The Spartan cameras have a bit of a telephoto lens, which I'm not a fan, that tends to compress the field of view. Across the trail from the camera is a fairly steep embankment. In actuality, the animals often walk over and climb onto that vine instead of going up the embankment. 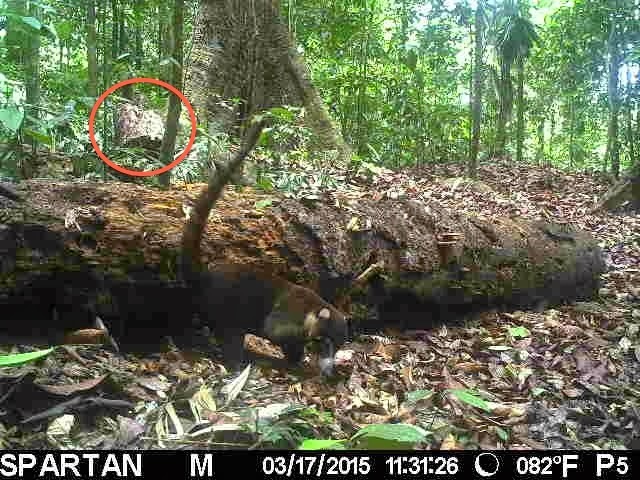 The camera location is on the tree marked C.
Camera ov is currently placed on the viny tree behind the anteater/tamandua. Again, this spot gave us a nice wide viewing area. So, why did I decide to place the camera where I did. There are a couple of reasons. The main one being that tree #2 is about to lose another huge section of trunk. It looks to me as if it will fall directly on top of each of our other camera location options, when it does fall. The second reason is that there is good evidence of animal activity on the trunk of the tree in our current frame. We think as this tree decays, it could be a popular feeding spot. ov very well could get smashed when sister #2 falls so we'll have to keep that in mind. It looks as if a large chunk of tree has fallen to the left of sister #1. I have no idea what triggered this. If it is a person smoking early in the morning in the jungle, the cameras all around missed him coming and going. He also would have had to kneel or sit as the camera is just a foot or so off the ground. He then would have let the smoke drift into frame. Spooky. The best cure for being blanked completely are multiple or 'burst' images. The cameras are programmed to take two pictures about 1 second apart. This is done to insure that we get at least one image. Unfortunately, the Spartan is programmed to send the second image instead of the first image. I would change that if I could. The good news is that our blank images will have a companion image to give another view of the animal or to see what triggered our camera. We also have non-wireless cameras very close by. I will be able to sync up the times and we will ID the missing animals and those we could not recognize in the Instant Wild images. We will just have to wait a while to find out for sure. The internet is full of strange and wonderful pictures of people captured at exactly the wrong times. The same is true of camera trap images. Animals in weird positions can be tricky to recognize. People routinely mis-identify tayras and jaguarundis. They are close in size, color, habits, and movement. 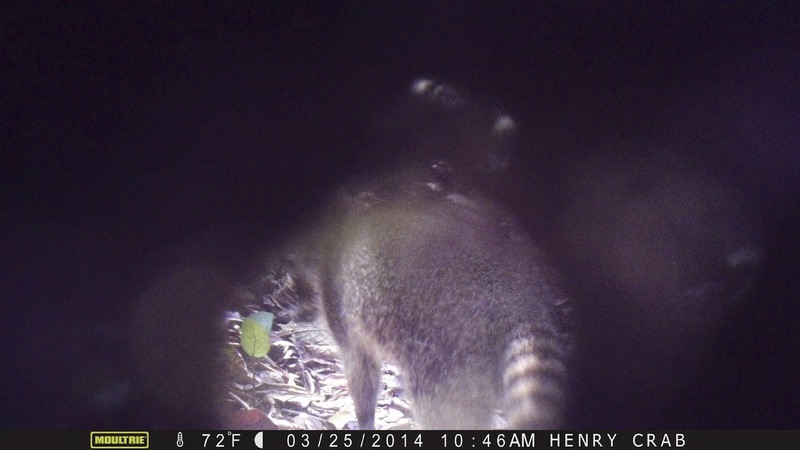 It is often the slender tail that clearly separates the two animals in a cam trap image. When ID'ing animals, the guides are great resources. Pacas and Agoutis look a lot alike at certain times. However, you rarely see Pacas during daylight or Agoutis in hard darkness. Sure there are exceptions, but it is not often. Knowing an animals habits is part of the identification process. or this capuchin monkey on the same log? Hard to say, right? We are leaning toward capuchin monkey. 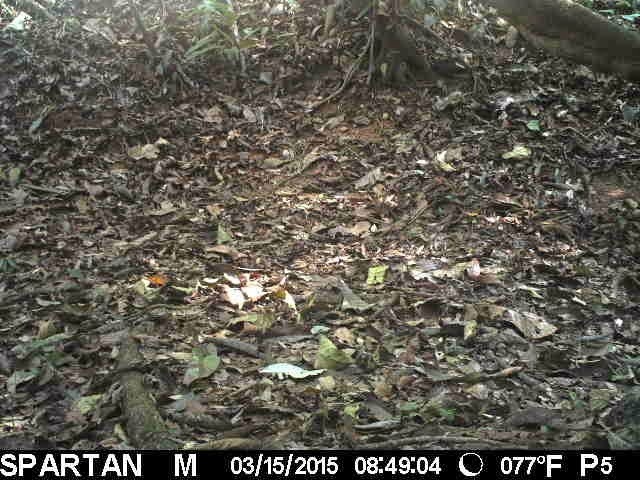 This could be a Tayra, Jaguarundi, or labrador. However, we have never seen a lab on the property nor are they very common in our part of Costa Rica...let alone a well fed lab. The Tayras on the property are pretty healthy. 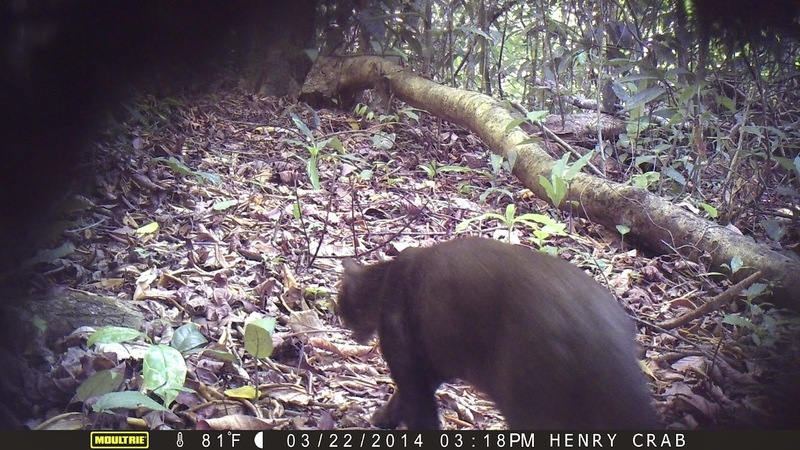 The thin tail suggests that it could be a Jaguarundi. We won't know for sure until we see the second image or even other images from the companion cameras to the left and right of our Spartan. Someone asked about ocelot recognition. 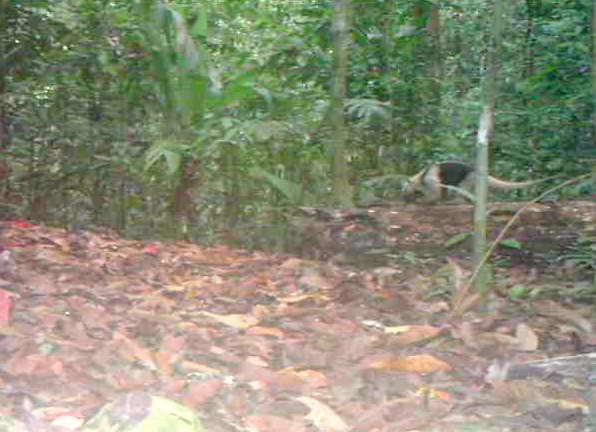 We are doing that along with some paca(side patterns) and tamandua(tail patterns). To date we have followed Crooked Tale/Roi, a female ocelot and her cub Pizza slice. We saw Pizza Slice on the OV camera last week. Ocelot recognition is addressed in this blog from last year. Thanks for reading this far. I'll be waiting for the next click of the camera...just like you! If you have wandered onto my blog by accident and want to know what's being discussed, be sure to check out Instant Wild and their live camera trap images: LINK TO INSTANT WILD! Thank you for viewing our post. I am very fond of the Madras fabric from your region. I especially like the lightweight shirts as they are perfect for tropical weather.